Vintage is a charming style and it’s perfect for creating a snow fairy tale at Christmas. White is an amazing color as it’s snow color. 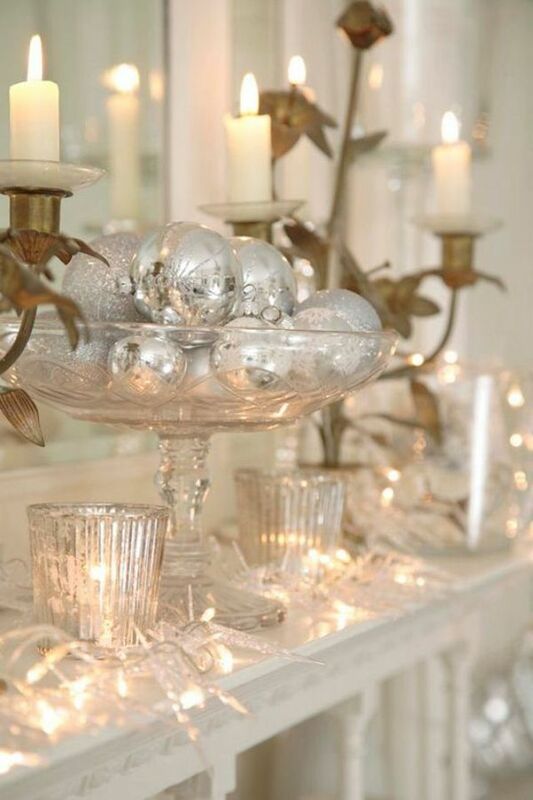 Vintage and white together make a perfect variant for Christmas decor. Decorate your tree, mantel and window with white snowflakes, ornaments and white painted pine cones. White tablecloths, napkins, stars, candles and vintage details will help you to create the atmosphere. Add bells, stockings, vintage fabric, angels and other romantic attributes that look sweet and old-fashioned. You can create some candle holders, vintage ornaments, sparkling houses, wall clocks and other cute pieces yourself. Look for more inspiring ideas below and choose your inspiration!